Well, it’s Monday again: March 12, 2018. I’ll be out of town much of the week, traveling to Madison, Wisconsin Tuesday through Friday to do some events for the Freedom from Religion Foundation. Posting will be light, but if Grania is nice she’ll handle Hili. It’s National Milky Way Day, celebrating a candy bar that I love but rarely buy. In the U.S. it’s Girl Scout Birthday, celebrating the foundation of the Girl Scouts—originally “Girl Guides”, as they remain in the UK—in America. Today’s Google Doodle honors William Henry Perkin, born on this day in 1838 (died 1907). A chemist, Perkin is famous for his accidental discovery of the first aniline dye: the purple colorant mauveine. (He was researching the effect of quinine compounds on malaria). I have to say this is a very odd candidate for a Google Doodle, but so be it. It shows the color brightening from drab to purple as the people approach The Great Man. On March 12, 1933, Franklin Roosevelt gave his first radio address as President of the U.S.; these became the famous “fireside chats.” Five years later, Hitler sent his troops into Austria for the “Anschluss” (annexation), and of course the West did nothing. On this day in 1961, a team of four people made the first winter ascent of the Eiger in Switzerland. It took a week, and I suspect they could now do it in one day. Re current events: it was on this day in 1993 that North Korea withdrew from the Treaty on the Non-Proliferation of Nuclear Weapons, refusing to allow inspectors in the country. Most countries have signed, but Israel has not. Finally, on this day nine years ago, financial magnate Bernie Madoff pleaded guilty of bilking investors of $18 billion. He now languishes in a prison in North Carolina, where he will die. Notables born on this day include George Berkeley (1685), W. H. R. Rivers (1864), Jack Kerouac (1922), Wally Schirra (1923), Edward Albee (1928), Liza Minnelli (1946), Mitt Romney (1947), and Jake Tapper (1969). Those who passed away on this day include George Westinghouse (1914), Sun Yat-sen (1925), and Charlie Parker (1955; he was 35 years old). Hili: A fresh track of a wild boar but I’m not going to follow it. Hili: Świeży trop dzika, ale nie będę go goniła. 4 exploded steam locomotives. For no reason other than they are strangely beautiful and look like angry aliens frozen in time. This is a funny tweet. Can you pedants spot the error? Sheep surviving eleven days covered by snow! Yet more success stories from neighbours of ewes being found ALIVE 11 DAYS after being stuck in snow drifts! This entry was written by whyevolutionistrue and posted on March 12, 2018 at 6:30 am and filed under Hili Dialogue. Bookmark the permalink. Follow any comments here with the RSS feed for this post. Both comments and trackbacks are currently closed. Cheap copies abound at Alibris. Hurry before they’re gone. Beat me to it! Wonderful book, Mauve. Also, it’s easy to imagine the fashion impact of that color! When more or less everything before it was fairly dull in comparison. The synthesis and successful commercialization of mauve were key events in the launch of the modern chemical industry. To this industrial chemist, it is a big deal. Myself, I can’t recall ever seeing a Google Doodle that honored an industrial chemist. Prior to mauve, there were only natural textile dyes available, which often faded over time. Synthetic dyes were/are more fade-resistant, and available in many more colors than natural dyes. Did you see James Burke’s Connections? Or read it? Can you comment? And the work on this and “indigo” led in a backwards sort of way to a whole new area of chemistry – coordination chemistry. … and Charlie Parker (1955; he was 35 years old). The coroner originally estimated his age to have been between 50 and 60. Bird didn’t have the healthiest of lifestyles. James Burke discusses dyes in Germany in his first Connections show – or one of the successors – and I want to say Perkin is too. It was a big deal in how it changed to whole economics and things like that. As for the chemistry, I think there are bigger discoveries? Good pun, but I wonder if it was intentional? An ‘Incrustation’ of a crustacean. Gotta ask- why are d*g pix appearing at the end of WEIT posts? Today I am seeing a black female pit bull/mastiff? mix? with cropped ears. look up the “Black Dog” – the meaning as coined by Samuel Johnson [supposedly]. If a black dog is present at the end of a WEIT post then the unwelcome Black Dog is visiting PCC[E] on that day. He must have chronic depression then, because I see them every day. I don’t like talking about “he”/”him” – as if he’s not here! And your observation is correct, except for there was a Hili post without a black dog last week – the day there was also a ‘Honey’ post. David Allen Green is a well-known British lawyer and blogger, and he may well know about the fight over the title of the column in Private Eye‘s letters page for readers to nitpick about things in previous issues. It started off, I think, as “Pedants Corner”, but people complained, with most wanting “Pedants’ Corner”, but some supporting “Pedant’s Corner”, because they said it was for a pedant to write to. 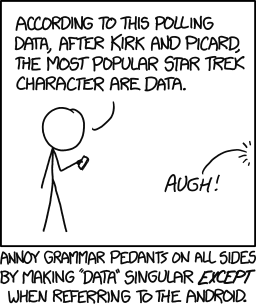 They gave up and renamed it “Pedantry Corner”. Now *that’s* what you call the journalistic equivalent of a self-inflicted wound! Girl Scout Cookies have gone downhill over the years, but we still buy a few boxes of Thin Mints and Trefoils. The Thin MInts go into the freezer as they are best when cold. Milky Ways are also great when frozen, but I, too, have not had one in many years. I buy a few boxes every year and donate them to the local food bank. Two charities for the price of one. Today is National Napping Day and our furry overlords are celebrating accordingly.